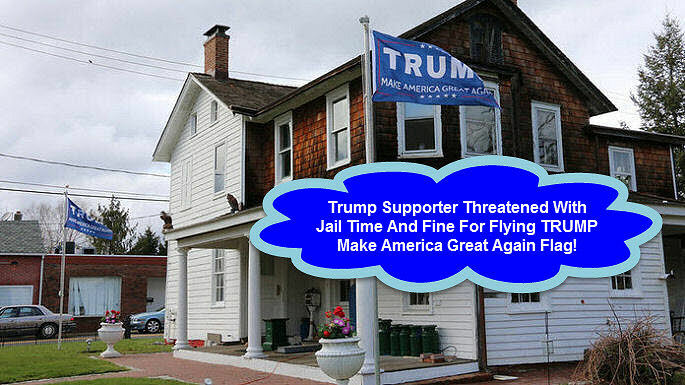 Joe Hornick, a resident of West Long Branch, New Jersey says he is ready to go to jail rather than take down a Donald Trump campaign flag flying in front of his house. Joe Hornick Taking a Stand For His Constitutional Rights! Billionaire businessman Donald Trump entered the Republican presidential race last summer, quickly becoming the front-runner by campaigning against illegal immigration and vowing to “Make America Great Again.” The campaign slogan adorns the flag Joe Hornick has been flying outside his home since February. Hornick’s house is located at a busy corner near the Monmouth University campus. He flies the flag day and night, and turns on the lights when it gets dark. The flag has been torn down five times so far, but Hornick keeps putting it back up. Instead of the police investigating the vandals, Hornick was issued a ticket for illegally posting political signage more than 30 days before an election. The New Jersey presidential primary is scheduled for June 7. He will go before a judge on April 20, and faces a maximum penalty of $2,000 and 90 days in jail, or both. “I’m not taking the flag down, and if I do 90 days in jail, I’ll do 90 days in jail,” Hornick said. He says the flag is a free speech issue, comparing it to flags of sports teams or other causes. “I’m not a sports fan, but I’m surely a Donald Trump fan,” Hornick said. He joked that he only saw Trump once, at a casino, but was too busy “trying to rob him” to get up from the blackjack table. The West Long Branch resident swears he will rip up his voter registration card if Trump loses the election, and never vote again. 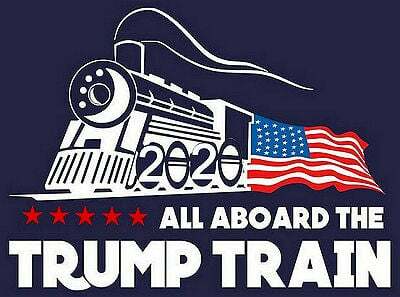 He also says he will keep flying the Trump flag no matter what.